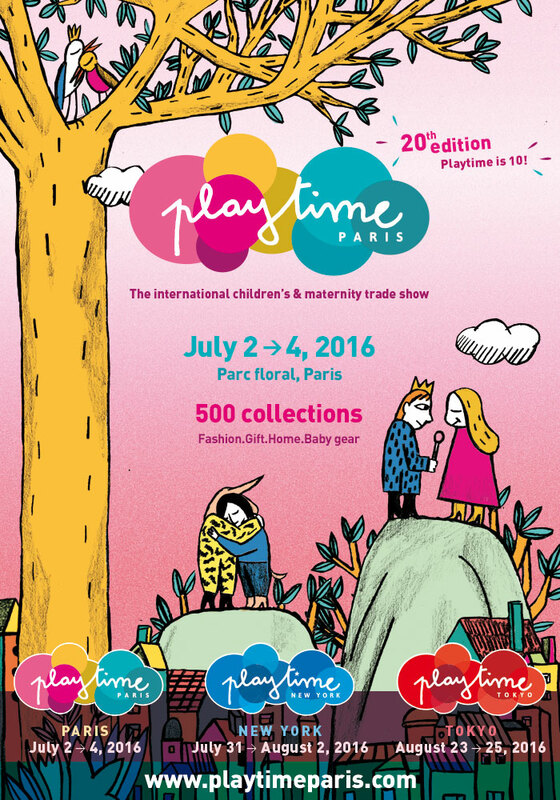 This summer Playtime Paris will be celebrating its 10th birthday! Launched in 2007 with, at its heart, idea of bringing the universes of children and of maternity together in one space, fashion, accessories, gifts, interior design, baby gear, Playtime has turned into the sector’s ultimate international event for professionals. This milestone has led us to project over the next ten years and to reflect on the needs of professionals so as to be in a better position to answer them. Now bringing together more than 500 brands from around the world, “one of the key issues at stake turns out to be the readability of offer and the visibility given to every exhibitor” says Sebastien de Hutten, Event Director. “These two lines need to be developed cooperatively so that everyone can find what they need in the best possible conditions”. This task will be pursued and reinforced this season through the overhaul of our online exhibitors’ list. Our new online database, now both more streamlined and comprehensive, gives all brands the opportunity to express themselves and share their universes through a detailed profile page. Visitors will be able to run advanced searches on a search engine that will allow them to filter results by product category, country and attendances, then find and save their favourites. In the same vein, Playtime Paris’s traditional catalogue is taking the leap from paper to Smartphone App. A concentrated source of information which will lighten visitors’ bags, not to mention the show’s carbon footprint! The app will be available on iPhone and Android, will work offline as well as online, and will remain accessible from one season to the next. Alongside these digital enhancements, Playtime now more than ever remains attentive to its set designs and crowd flow so as to ensure that your visit, meetings and encounters always make for a stimulating and enriching experience.